This website is designed to assist Exhibitors, Sponsors and Show Guide Advertisers with all the information they need to make a selection decision and to process their order. Why Exhibit with Tulsa Home Shows? 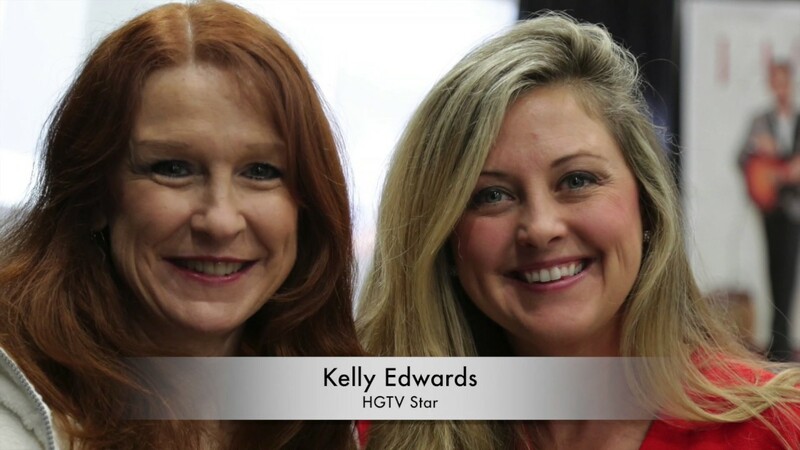 Tulsa Home Shows proudly produces the two newest home and garden shows in the local market. Our shows are full of exciting features, contests, prizes and attractions. These bonuses add another level of public engagement above and beyond the hundreds of exhibitor booths. We are quickly evolving and growing each year as the public attendance rises and we respond to their needs. 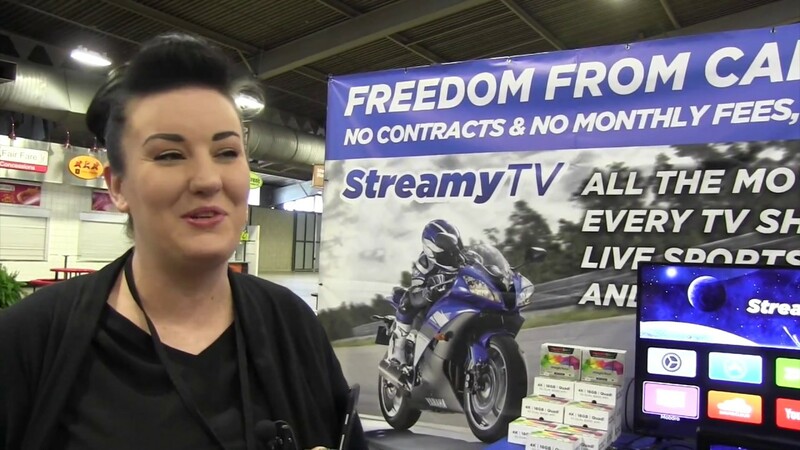 Hear what Exhibitors have to say about us. The Booth Space Worksheet is a helpful planning tool. Use the link below or click on the page image to the left to download. 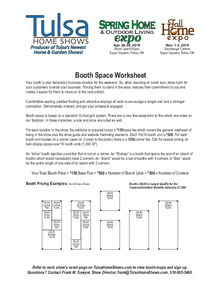 Booth space is available in 10x10 units with the exception of a few special booths at special rates identified on the Fall Home Expo booth map. Under special arrangement with Expo Inn Hotel, Tulsa Home Shows vendors can have either a double queen or double king room for only $79 per night. This is a $20 to $30 savings. Offer subject to availability. Call (918) 858-3775 to reserve your rooms!